Another reign is coming at the PETA Theater Center! 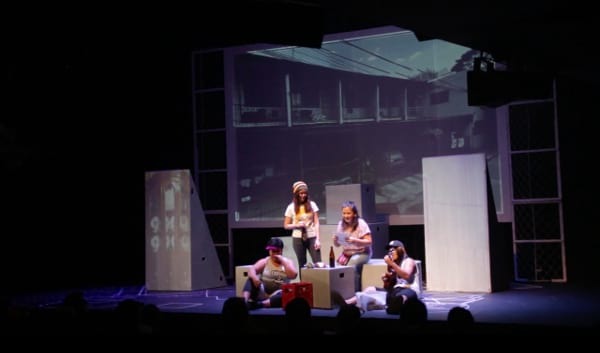 Written by Liza Magtoto and Directed by Maribel Legarda (the same writer-director tandem that produced the megahit Rak of Aegis), A GAME OF TROLLS, a martial law musical for millenials, will have a limited run this October 13-14, 20-21, 2018. 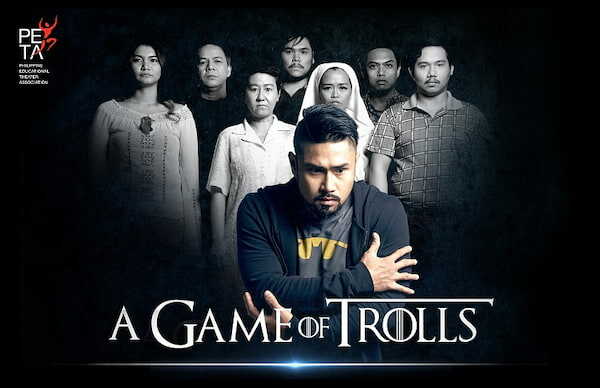 ‘A GAME OF TROLLS’ #aGoT the Musical, is the story of Heck, a troll whose indifference makes him the perfect keyboard warrior for Bimbam, the manager of a ‘troll center’ that runs an online pro-martial law campaign. His lack of attachment to any belief can be used to make him unleash callous words to anyone who comments against the martial law days. Ghosts of Martial Law victims haunt him from the Internet cloud, where they fear being erased as people slowly forget their stories. The encounters forced him to reflect on his own beliefs and his relationship with his mother, a former Martial Law activist. 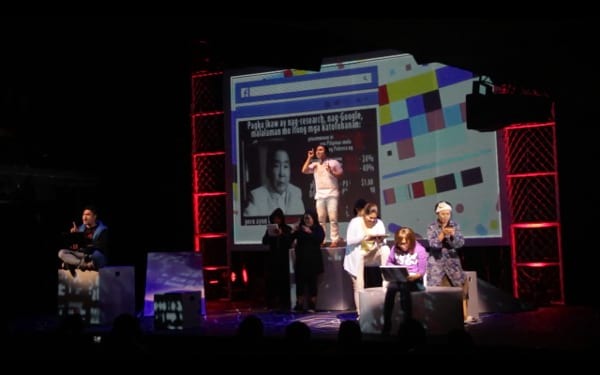 The musical, written by Liza Magtoto and directed by PETA Artistic Director Maribel Legarda with music by Vincent De Jesus, is in the tradition of PETA’s protest and advocacy plays. The key messages of the musical are best illustrated with these hashtags: #NeverForget, #NeverAgain and #BayanMunaBagoSarili. “As artists, we in PETA remain steadfast in our mission to use the arts to reflect peoples’ stories and examine our history, so we can find meaning in chaos, make sense of our realities and have vision amidst doubt and cynicism,” shares PETA Executive Director Beng Santos-Cabangon. Why the need to remember? “The years that the country was under martial rule were dark years that should not be forgotten. It is important to remember and learn from the past. 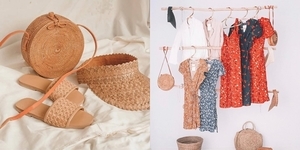 Otherwise, we end up repeating the same mistakes today,” she adds. “A Game of Trolls is NHCP and PETA’s way of reaching out to all Filipinos, especially the millennials, to take a clear look at what really transpired during martial law. To better relate to the millennials as well as to capture their imagination, the musical features the concepts of modern social and technological media,” says NHCP Chairman Rene R. Escalante. Thus, it is more important now to never forget the painful lessons of the martial law and never again allow strongman rule to be set up in the Philippines. Through the theater, we want to reach the youth of today so they will learn to treasure their freedom, which was fought with blood and tears by their elders. A Game of Trolls cast includes Myke Salomon, TJ Valderama,Upeng Galang-Fernandez, Gail Guanlao-Billones, Vince Lim, Gold Villar-Lim, Lemuel Silvestre, Joseph Madriaga, Kiki Baento, Gilbert Onida, John Moran, Juan Miguel Severo, Norbs Portales, Roi Calilong, Jasper Jimenez, Ada Tayao, Lea Espallardo, Icee Po, Nieves Reyes, Dan Cabrera, Jason Barcial and Justin Castillo. A Game of Trolls is showing at the PETA Theater Center located at No. 5 Eymard Drive, New Manila, Quezon City. For tickets, contact Ticket World +632-891-9999, ticketworld.com.ph, or visit www.petatheater.com for show buyer information.